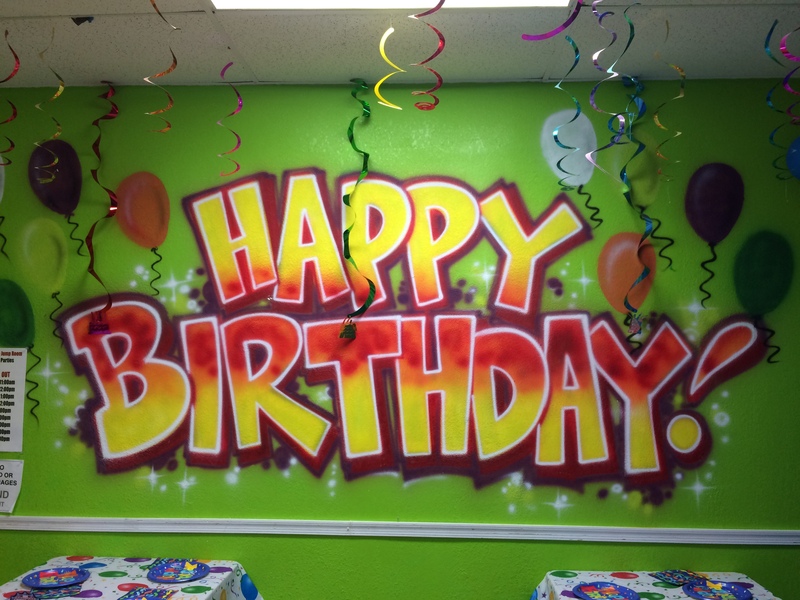 You are here: Home / Party Ideas / VB Bounce House Birthday Party! As each year passes, it is harder to imagine that my baby used to be just that, a baby! This month he turned 3 years old. To say he has grown in leaps and bounds this year feels like an understatement. At his second birthday he was barely speaking at all, and now he is constantly surprising us with his witty remarks and knock-knock jokes. This year we decided to have his first birthday party. We had family gatherings for #1 and 2, but didn’t have any child-specific activities. I felt like this year he would be more able to understand the birthday concept, and not be quite so overwhelmed by the thrill of it all. So, we decided to invite some friends and take him to one of his favorite places, The Virginia Beach Bounce House. I have to tell you how totally impressed and surprised we were when we arrived. They had carts available we could roll out to the car and load up all the gear onto in order to wheel it inside, rather than make multiple trips. The two employees greeted us, and even took the cart away to wheel it into the brightly colored private party room for us. We walked in to the 2 tables set with table-covers, plates, and napkins. The front tables, for gifts and food presentation, were covered as well and had utensils and cups sitting out. There were balloons, streamers and decorations hanging from the ceiling. They had extra chairs lining the wall and a giant trash can in the corner. I didn’t know they would have all of this set up and was totally relieved! We bought all the accouterments, expecting to have to set it up ourselves, and it was a great time saver and stress reliever to not worry about it. Even better, Anastasia, the employee who helped us all evening was SO welcoming – she checked on us often, asked us if we needed candles or a lighter for the cake, reminded us of the time. Seriously, the only picture I got of him that night. He didn’t stop moving! You can have a party there in 2 hour increments, any day of the week. We went on a Friday evening from 6-8. From 6-7 all the kids had free reign of the entire Bounce House main play area. We tried to take time for pizza and cake, but to be honest the kids weren’t interested in sitting down very much at all! Silly us, we brought some coloring sheets, crayons, and a “Pin the jellyfish to SpongeBob’s net” game. None of it got touched. Then from 7-8 they opened the back door of the private party room which led to a private bounce area! Seriously, our party had a bunch of inflatables ALL to themselves! How awesome is that?!? We took another short break from bouncing for presents, but again, they weren’t very interested in doing anything that wasn’t jumping. Overall, we were totally impressed. The facility was huge and robust with play options, while also having the private party room as well. The staff was kind, welcoming, and helpful. 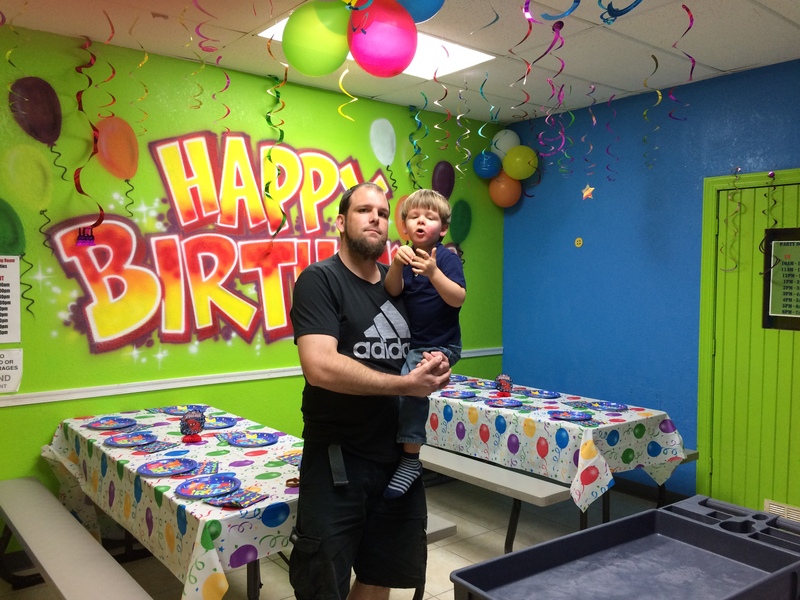 Jonas had an amazing third birthday and I’m so glad we decided to have it at the Virginia Beach Bounce House! 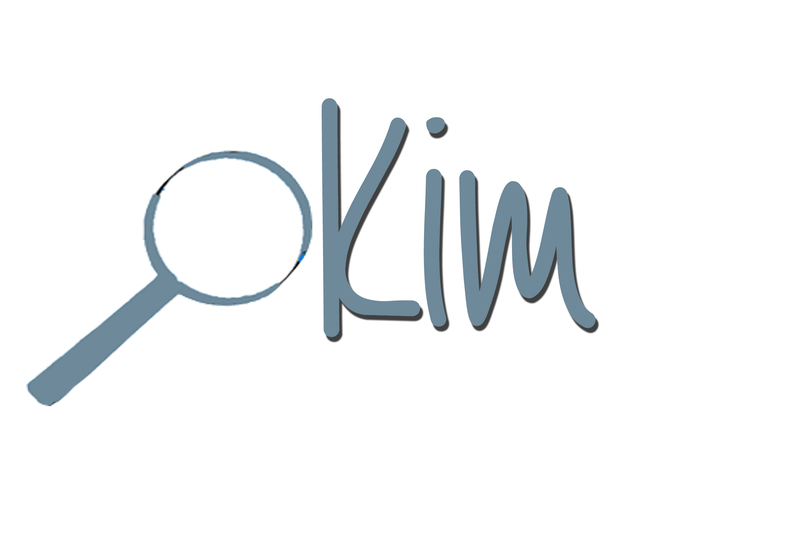 Please check out their website here for more information. 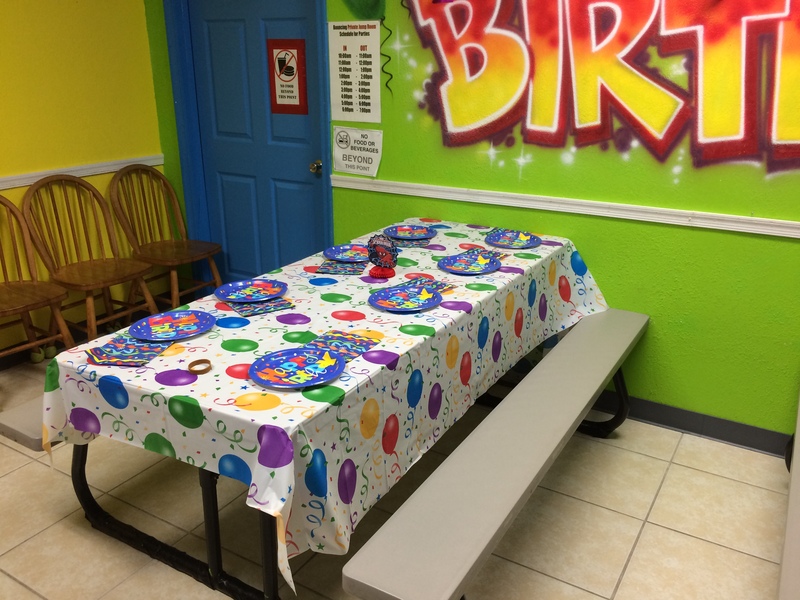 Give them a call to schedule your next party! Now that it’s over I can say I’m glad we have another year before the next birthday. Getting prepared for a party is no piece of cake (pun intended!) but it was all worth it in the end. I am hopeful that he will have fond memories of his first “real” birthday party.